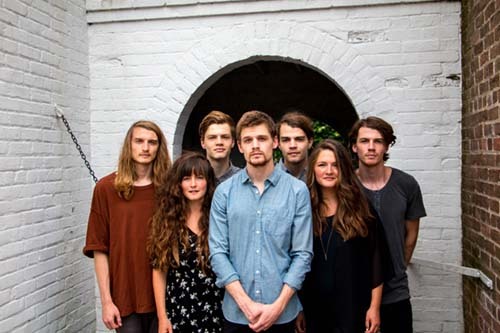 Known for their harmonic take on alt-folk, The Hunts are a Virginia-based band of seven siblings who’ve been playing music together almost their entire lives. Twin sisters Jessi and Jenni and brothers Josh, Jonathan, Jordan, Justin, and Jamison learned to sing and play instruments and then started songwriting. While agreeing on every note and lyric can be chaotic, the synergy born from that chaos makes the band strong.